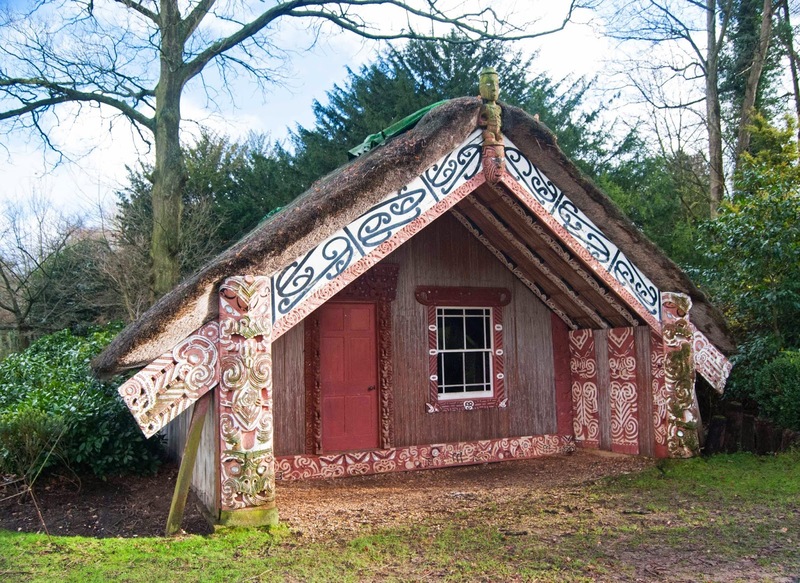 Hinemihi was built in1881 in Te Wairoa, Rotorua. 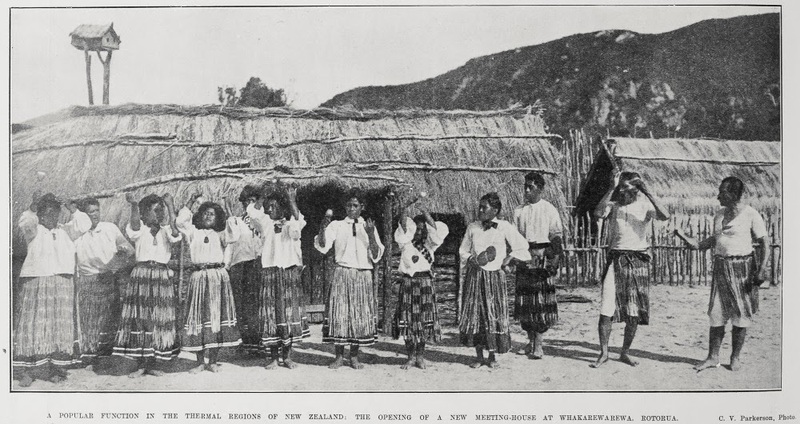 The name of the wharenui comes from Ngāti Hinemihi's ancestress, Hinemihi. Aporo Wharekaniwha commissioned the carving and erection of this wharenui, which was undertaken by expert carvers, Wero Taroi and Tene Waitere. Unusually, instead of using pāua shells for the eyes of the ancestral figures on the inside and outside of the wharenui, gold sovereigns and half sovereigns were attached instead. This explains why Hinemihi is sometimes referred to as the 'House with the Golden Eyes'. During the Tarawera eruption in 1886, Hinemihi provided refuge and shelter for local people and was one of the few structures to survive despite being half buried by ash and volcanic debris. 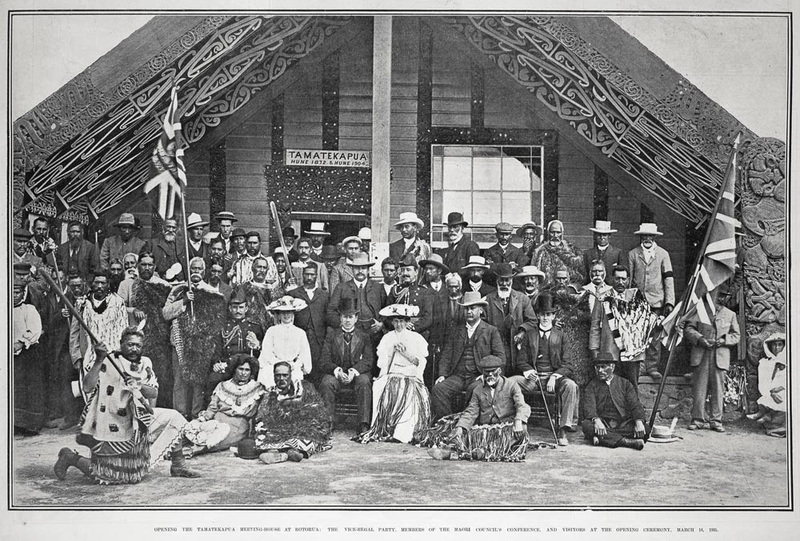 Subsequently, the wharenui was purchased for £50 as a souvenir by the then Governor of NZ, the 4th Earl of Onlsow (who was at this time at the end of his term in NZ). 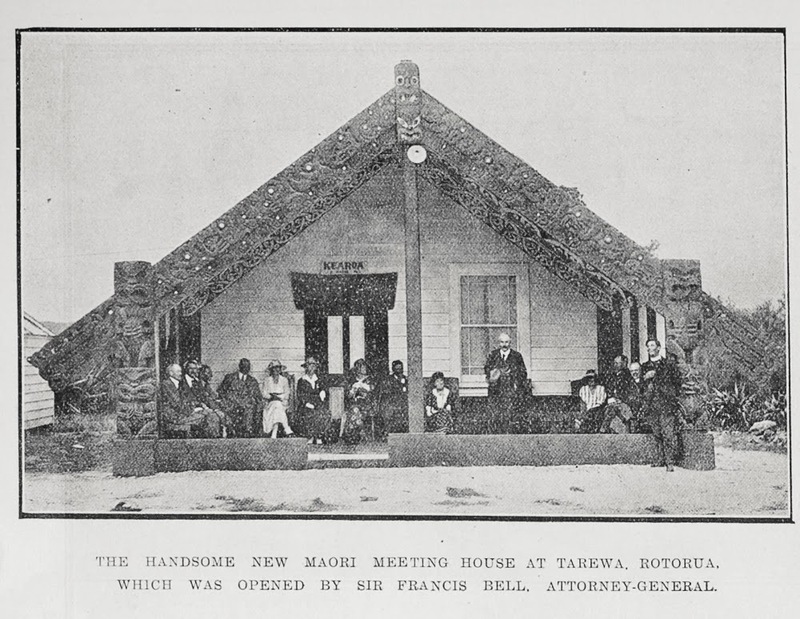 As a result of this transaction, the wharenui was dismantled and shipped to the UK in 1892. 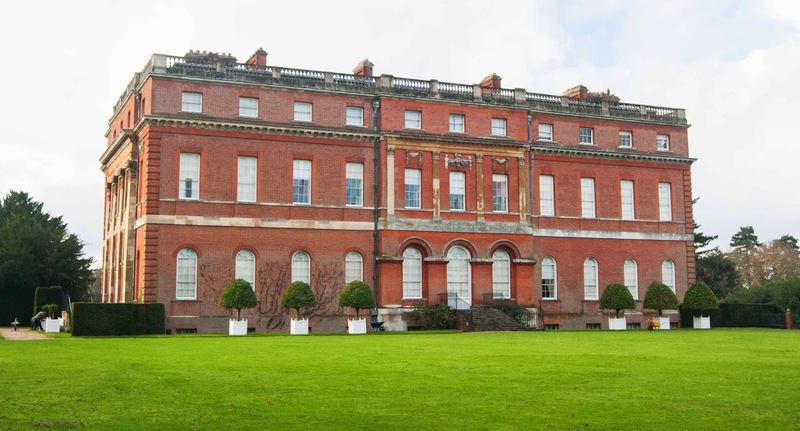 The resonance of Hinemihi for Ngāti Hinemihi and Ngāti Rānana (expatriate Māori living in London) was explored in the film 'Between Humans and Other Things' by Cecilie Gravesen. You can read more about Hinemihi and more generally about Rotorua carving in the range of publications held in the heritage collections at Auckland Libraries. The Te Maru O Hinemihi website – the virtual marae for this wharenui, gives an array of information including about the Te Maru komiti (committee) and their work caring for and keeping Hinemihi warm through various events and activities. Below is a selection of other wharenui from the Rotorua area drawn from the heritage collections here at Auckland Libraries. Kia ora, just to let you know that the wharenui Kearoa is located at Tarewa Road, Horohoro and not Lake Tarawera. Thanks for your comment! Good spotting. I have corrected the location details.